The Hatfields and McCoys have nothing on the Greemsmiths and the Stonewalls. Their feud has been going on for generations. When Granny is found murdered. She was in jail. To all the Greensmiths astonishment all the Stonewalls came to the funeral to pay their respects. Rowen is suspicious of their motives especially after Grannys will is read! She is bound and determined to find the culprit and is met from resistance all around. Lots of secrets are revealed throughout which make the elders of both families--lets just say--not very happy! Does Rowen eventually get to the bottom of her dear Granny's death? You will have to read it to find out--that and all the other secrets!! Things are going well for Rowen. The weather is nice; her family is happy; there haven’t been any murders for a while. All in all, things are good… which can only mean that they’re about to go horribly wrong. If it’s not family issues, it’s something worse. This time it’s both, and that something worse is a death that hits close to home. Novella (approx. 50,000 words). 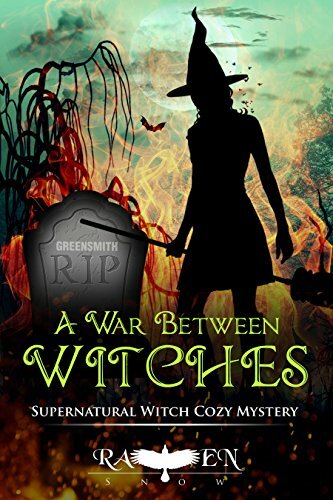 Tenth Volume of the Lainswich Witches Mystery Series. It is a standalone (reading prior or future volumes not required to enjoy the book, no cliffhanger). I can't wait to read the next in the Lainswich Witches storyline. I've really enjoyed the series so far and laugh out loud at all the messes they end up in. I'm also starting (well, restarting) a book blog. Love what you're doing here!! I need to look through your reviews for new reading material!